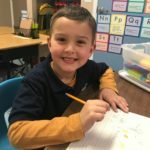 The mission of Emmanuel Christian Academy (ECA) is to serve God, change lives, and challenge minds through Christian Education. 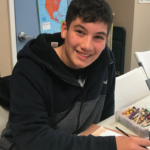 Our vision is to provide a superior academic education while teaching the foundation of a godly life to residents of Kingman and outlying areas. Our students will have superior and godly instruction in a secure environment under the supervision of godly men and women now and in the future. ECA was established in 2000 by our founder Karen Benson who was passionate about having their children taught with the Christian approach. Starting with 7 student’s ECA’s student body is currently over 120 and growing. 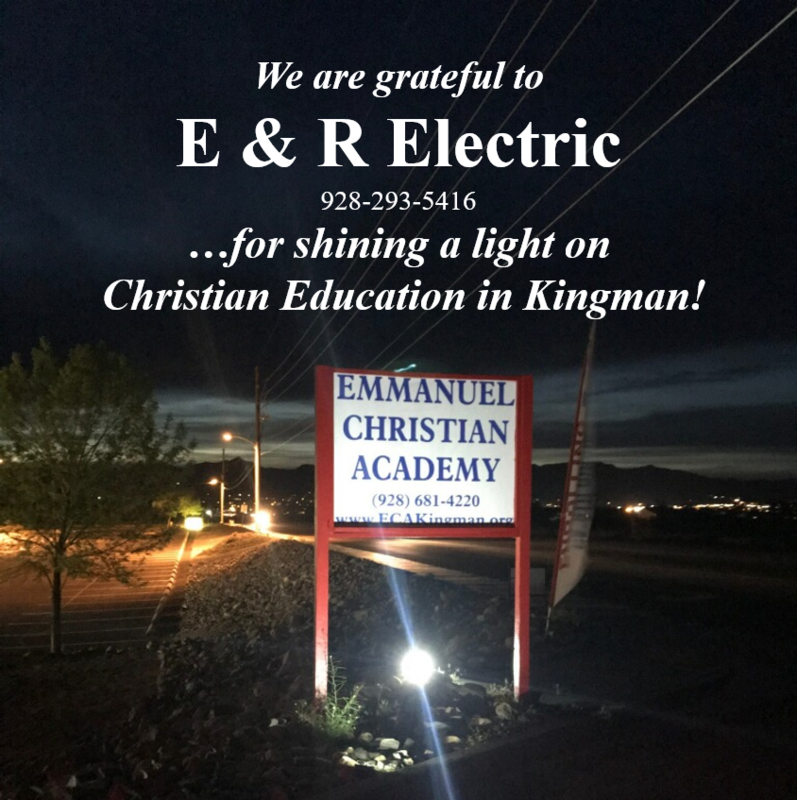 Today, ECA is the only private Christian school in Kingman, Arizona. Statement of Faith: We are open to families of any faith or denomination who agree to uphold our Statement of Faith as the framework for admission, teaching, discipline, and all aspects of the school. Bible as a Core Subject: Bible class is crucial as a core subject. Biblical precepts will be integrated into every facet of life. Christian Character Development: We will endeavor to develop Christian character in our students through godly council, accountability, evangelism, and discipleship. Christian Staff & Board: Each staff or board member will be a devoted, mature Christian, seeking personal Christ-likeness and professional development, never putting ambition for success above God’s will for Emmanuel Christian Academy. Ministry Minded: In all things, EAC personnel will work in cooperation with and support of Christian organizations including churches, missionaries, and ministries. School Improvement: Will consistently evaluate and action upon ongoing school improvement needs. Academic Excellence: We are committed to excellence in education. Board Governance: The Governing Board is the principal entity that holds the administrative staff accountable. Parental Responsibility: Parents have the primary responsibility for the education of their children, and ECA serves the Christian home. Fulfill the Great Commission: Through their attendance at EAC students should be prepared to share their faith in an effort to fulfill the Great Commission. ECA has one of the lowest tuition rates of Christian schools in Arizona. 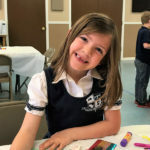 We are funded solely through tuition and welcome the support of donor-stewards who believe in the impact of Christian education. Many of our families pursue and are successful in obtaining Arizona State Tax credit scholarships that are available to our students. ECA continues to grow our extracurricular activities through sports, competitive athletics, chess, leadership and mission projects. Our athletes have proven themselves on the playing field, modeling Christian conduct and sportsmanship in practice and in competition. Our ECA “Eagles” play in league competitions. ECA is an independent, non-denominational Christian school that has one campus in Kingman, Arizona located at the base of the foothills of the Hualapai Mountain. ECA is not affiliate with any church but partners with First Southern Baptist to utilize their facilities. If you would like more information about ECA, or would like to take a tour, call ECA’s Main Office at (928) 681-4220.